In the end of 1960s, the young engineer at AT&T Bell Labs Kenneth (Ken) Thompson worked on the project of Multics operating system. Multics (Multiplexing Information and Computer Services) was an experimental operating system for GE-645 mainframe, developed in 1960s by Massachusetts Institute of Technology, Bell Labs, and General Electric. It introduced many innovations, but had many problems, and in the end of 1960s, Bell Labs, frustrated by the slow progress and difficulties, pulled out of the project. 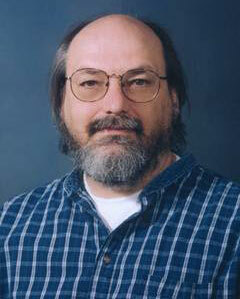 Thus Thompson, with the help of his colleagues Dennis Ritchie, Douglas McIlroy, and Joe Ossanna, decided to experiment with some Multics concepts and to redo it on a much smaller scale. Thus in 1969 the idea of now ubiquitous Unix was born. While Ken Thompson still had access to the Multics environment, he wrote simulations for the new file and paging system on it. Later the group continued his work on blackboards and scribbled notes. Also in 1969, Thompson developed a very attractive game, Space Travel, first written on Multics, then transliterated into Fortran for GECOS, and finally for a little-used PDP-7 at Bell Labs. The same PDP-7 then he decided to use for the implementation of the first UNIX. 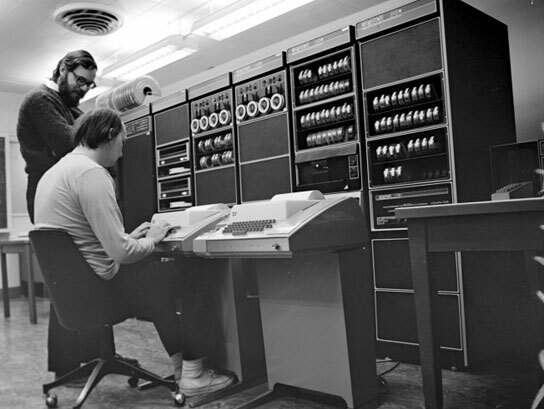 On this PDP-7 and using its assembly language, the team of researchers (initially without financial support from Bell Labs) led by Thompson and Ritchie, developed a hierarchical file system, the concepts of computer processes and device files, a command-line interpreter, and some small utility programs. The name Unics was coined in 1970 by the team member Brian Kernighan, who played on Multics name. Unics (Uniplexed information and computing system) could eventually support multiple simultaneous users, and was later shortened to Unix. 1. An i-list: a linear array of i-nodes each describing a file. An i-node contained less than it does now, but the essential information was the same: the protection mode of the file, its type and size, and the list of physical blocks holding the contents. 2. Directories: a special kind of file containing a sequence of names and the associated i-number. 3. Special files describing devices. The device specification was not contained explicitly in the i-node, but was instead encoded in the number: specific i-numbers corresponded to specific files. In 1970 Thompson and Ritchie wanted to use Unix on a much larger machine than the PDP-7, and traded the promise of adding text processing capabilities to Unix to some financial support from Bell, porting the code for a PDP-11/20 machine. Thus for the first time in 1970, the Unix operating system was officially named and ran on the PDP-11/20. It added a text formatting program called roff and a text editor. All three were written in PDP-11/20 assembly language. Bell Labs used this initial "text processing system", made up of Unix, roff, and the editor, for text processing of patent applications. Roff soon evolved into troff, the first electronic publishing program with a full typesetting capability.